A collection of solutions for game development problems. FASTBuild is a high performance, open-source build system supporting highly scalable compilation, caching and network distribution. GENie (pronounced as Jenny) is project generator tool. It automagically generates project from Lua script, making applying the same settings for multiple projects easy. Describe your software project just once, using Premake's simple and easy to read syntax, and build it everywhere. Sharpmake is an open-source C#-based solution for generating project definition files, such as Visual Studio projects and solutions, GNU makefiles, Xcode projects, etc. Boost.Build is a high-level build system which makes it as easy as possible to manage C++ projects. 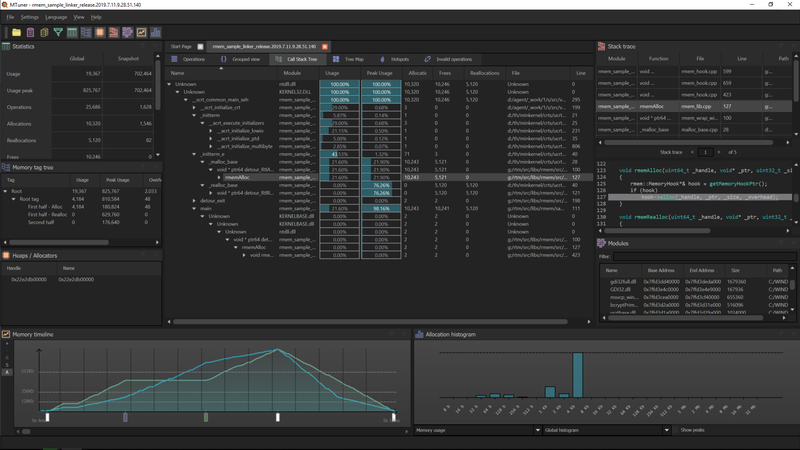 Build monitor is a tool which you can use to measure your build times in Visual studio over time. A tool to make Windows builds reproducible. SCons is an Open Source software construction tool—that is, a next-generation build tool. The Cortex project provides a set of high quality C++ libraries and Python modules tailored for software development in the visual effects industry. Buildbot supports distributed, parallel execution of jobs across multiple platforms, flexible integration with version-control systems, extensive status reporting, and more. Unity's fork of Buildbot, a Python-based continuous integration testing framework! A juicy feature-packed debug menu intended for games. Inkscape is a professional vector graphics editor for Windows, Mac OS X and Linux. OpenNMS is a carrier-grade, highly integrated, open source platform designed for building network monitoring solutions. the open source system for processing and editing 3D triangular meshes. It provides a set of tools for editing, cleaning, healing, inspecting, rendering, texturing and converting meshes. This is CacheSim, a cache simulator developed by Insomniac Games. Cppcheck is a static analysis tool for C/C++ code. It provides unique code analysis to detect bugs and focuses on detecting undefined behaviour and dangerous coding constructs. is an extensible framework for diagnosing and fixing typical programming errors, like style violations, interface misuse, or bugs that can be deduced via static analysis. FlatBuffers is an efficient cross platform serialization library for games and other memory constrained apps. Graphite is a highly scalable real-time graphing system. As a user, you write an application that collects numeric time-series data that you are interested in graphing, and send it to Graphite’s processing backend, carbon, which stores the data in Graphite’s specialized database. Windows Application Driver is a service to support Selenium-like UI Test Automation on Windows Applications. Gpuvis is a Linux GPU profiler similar to GPUView on Windows. It is designed to work with trace-cmd captures and help track down Linux gpu and application performance issues. Alembic is an open computer graphics interchange framework. A project to make it easier for people to use Maya animation in their tools and pipelines. COLLADA™ defines an XML-based schema to make it easy to transport 3D assets between applications - enabling diverse 3D authoring and content processing tools to be combined into a production pipeline. GL Transmission Format is a royalty-free specification for the efficient transmission and loading of 3D scenes and models by applications. MaterialX is an open standard for transfer of rich material and look-development content between applications and renderers. A general-purpose, human-readable, and strongly-typed data language for information exchange. format is a text-based file format designed to facilitate the transfer of complex scene data between applications such as modeling tools and game engines. AssetBundleGraphTool (ABGT) is a tool that aims to reduce the workload of all the effort needed to build workflows around building Asset Bundles and Player Apps. Runtime-Compiled C++ is a way to reliably make major changes to your C++ code at runtime and see the results immediately. Mongoose is more than an embedded webserver. It is a multi-protocol embedded networking library with functions including TCP, HTTP client and server, WebSocket client and server, MQTT client and broker and much more. The nanomsg library is a simple high-performance implementation of several "scalability protocols". It aims to make the networking layer fast, scalable, and easy to use. yojimbo is a network library for client/server games with dedicated servers.